A fun event at the Blue Mule Winery and Yarn Shop in Fayetteville on April 27, 1p am to 6 pm. Join the fun at the annual Hill Country yarn crawl! This week long crawl will take you through yarn stores across San Antonio, Austin, and surrounding areas. Experience new stores, indie dyers and tons of fun filling up your passport. Check the event website for more details, and to order your passport. 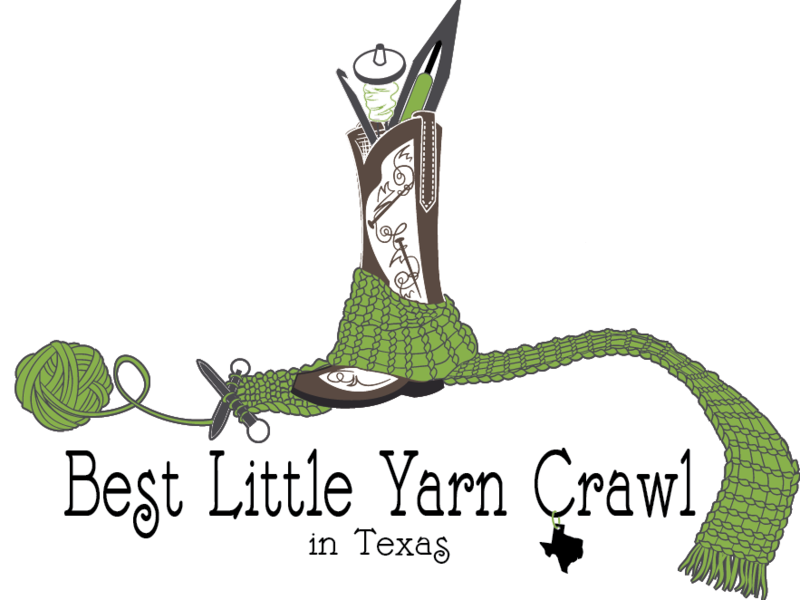 Join the 10th annual Hill Country Yarn Crawl! Join us for ten fun-filled days crawling your way through 19 yarn shops around and about central Texas! Bring family, meet up with friends, make new ones, and see all the great things each shop has to offer. To add to the fun, you will have lots of chances to win PRIZES! Along the way, we hope you discover new ways to fuel your fiber passion and meet local fiber artists up close and delight in their wares. Best of all, rekindle your love for all the yarn and fibers the Hill Country has to offer. See website for more details and how to play.